What does the word dream conjure up in your mind, heart or emotions? Do you ever have dreams that you forget when you awaken or remember and would love to be able to forget? In this wonderful work of fiction, Elena is a writer, college professor as well as a believer. Rachel is a professional woman working for a medical company attempting to find a drug for those with ADHD. Elena used to really enjoy her profession; she just never imagined her book would get so much recognition as well as bring her a world of hurt. Rachel asks Elena to join her at the company because there are those having the same dream with an unusual compulsion afterwards. Swearing that the new trial medication has nothing to do with it, Elena can’t quite pinpoint how people miles and continents apart could have the same dream at the same time. Jacob has a practice in a science field too. He is considered Elena’s worst nightmare. Jacob makes it a point to ridicule Elena’s work. How does he get involved with the same company, helping Elena solve a mystery? Reed is the president of a college, widowed, and raising a daughter on campus. Reed teaches Sunday school and has a very interesting resume. He too is pulled into the ever-growing web of intrigue that centers on the company and its new medication. Reginald handles all of the intricate details of the professional life Rachel lives in the fast lane. Her sister Miriam was Elena’s best friend until her passing. The dreams are real and people want answers. The dreams show what is going to happen, but when? The world financial market is in chaos, and people are running scared all because of the dreams. What part do the dreams play in what is going on in the personal lives of those having the dreams and the world around them? Elena has security all the time because someone believes she needs it. Then, she and others are about to experience a life changing event that has no return to normal if it goes on the road it currently travels. 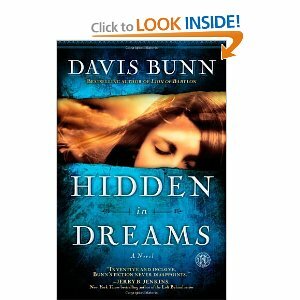 In a mystery with many twists and turns, Hidden in Dreams takes the reader into various avenues of the world its characters inhabit. From the first page until the very end, you will wonder where it will all end up, and how each piece of the masterly laid puzzle falls into place. In many respects, this novel is also a thriller. It is full of action and adventure with a spellbound story the reader will get lost in. So enjoy this novel as I did. It is a masterpiece in many ways!